Print productivity Get your print and copy jobs out as fast as 35 ppm – with first-page-time out time as fast as 11 seconds. Print Around Automatically skips jobs waiting for additional resources (such as special paper size) and prints the next job in the queue. The cost of doing business is a lot less when you invest in the right technology. 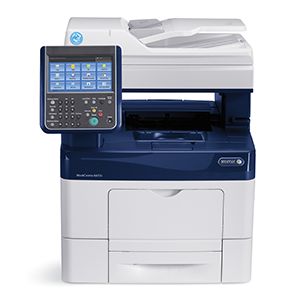 The Xerox® WorkCentre™ 6655i, enabled by ConnectKey®, features innovative tools that simplify the way you manage printing and enable more ways to keep costs in check.